Today (December 21) marks the date of the winter solstice, and if that doesn’t sound mysterious enough then there are some beautiful celestial happenings going on. Skywatchers can tonight look forward to a full moon as well as a meteor shower, quite a rare occasion indeed. The last Winter Solstice full moon took place in 2010, and we won’t see another one until 2094. Cryogenic freezing options aside, I will most probably be dead by then, so tonight I am going to stare at this glorious, round Winter Solstice moon to my heart’s content. As reported by Forbes, at this time of year a full moon is referred to as a ‘Cold Moon’ or the ‘Long Night Moon’, which sounds very mystical indeed. As reported by Quartz, other names include ‘snow moon,’ ‘big spirit moon,’ and – my personal favourite – ‘unborn seals are getting hair’. Ursids Meteor Shower – which occurs each year between December 17 and December 24 – can be viewed both tonight and tomorrow night, and can be seen without the aid of a fancy telescope, or pair of binoculars. December 21 is regarded to be the peak time to get a glimpse, with EarthSky advising those interested to take a look in the mornings leading up to the peak of shower, ‘when there’s a window of darkness between moonset and dawn’. Ursids Meteor Shower is named after the constellation Ursa Minor, as its most radiant shine is seen in the sky near the star Beta Ursae Minoris. Although this is just an optical illusion, it is still a spectacular sight to behold. The shower is a result of Comet 8P Tuttle hitting the Earth’s atmosphere, forming debris. This creates up to five to ten shooting stars each hour. 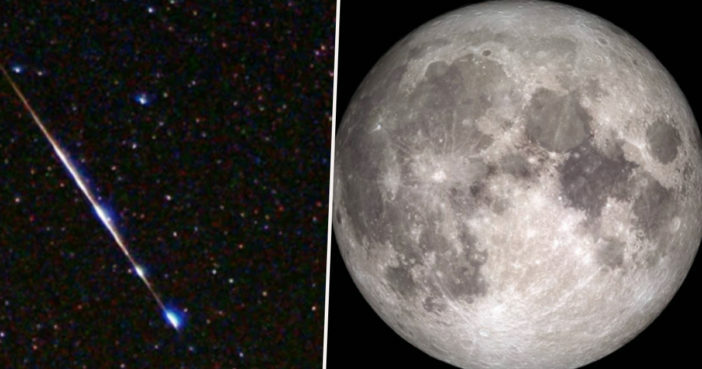 Winter solstice, a full moon, and the Ursid meteor shower. It's going to be a good night. I hope wherever you are you have clear skies. This is certainly the perfect evening to step out and look at the stars.